Handcrafted with the finest sheepskin available, these easy on shearling slippers will wrap your feet in soft, plush luxury. The sheepskin is so inviting, you’ll look forward to the experience each and every time you put them on. The wool has natural insulating, breathable and moisture resistant properties that make year round use possible. The slipper bottoms are crafted with a wear resistant cowhide sole. These are great for cold as well as warmer climates! 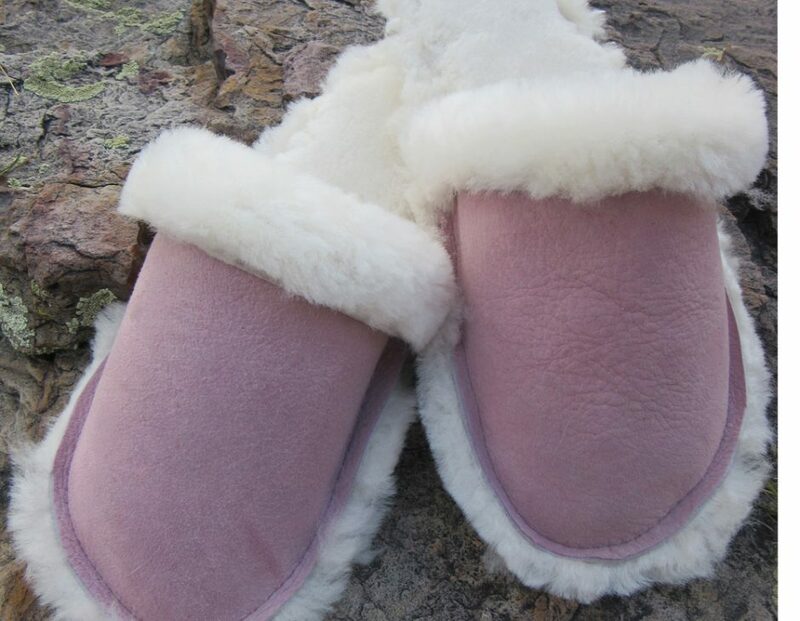 To view slippers in different colors: Choose a color and size option. 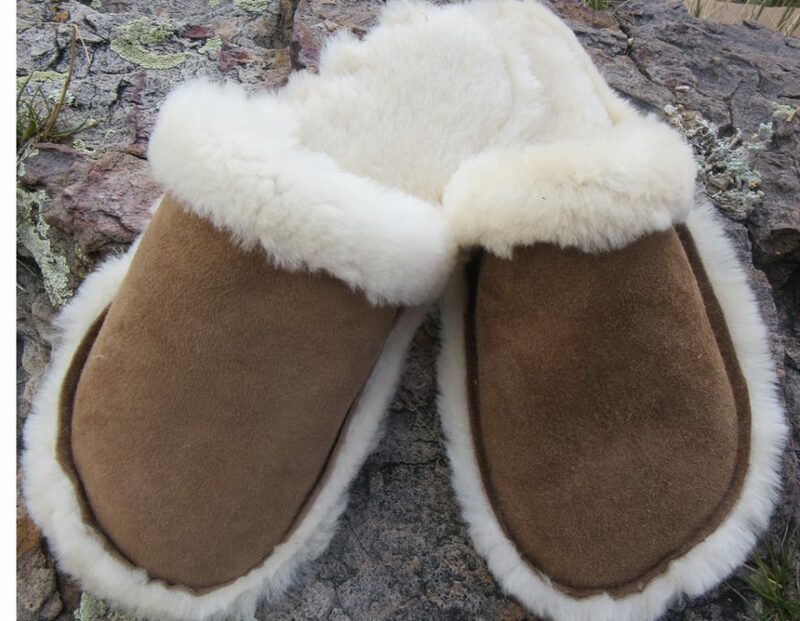 Genuine shearling, a natural, soft wool, bathes your feet in comfort when you slip on these luxurious sheepskin slippers. The combination of shearling wool with the breathability and suppleness of rough-out sheepskin simply cannot be equaled by imitations. 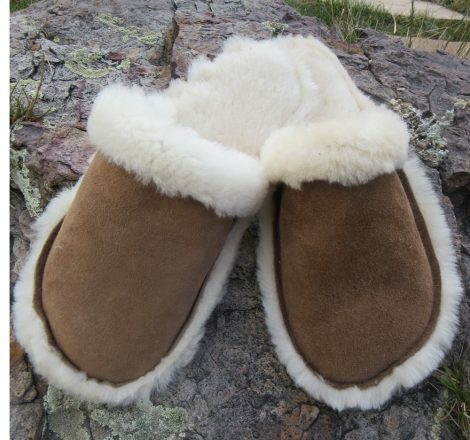 The slippers feature wool-out seams and a tough cowhide sole for durability. 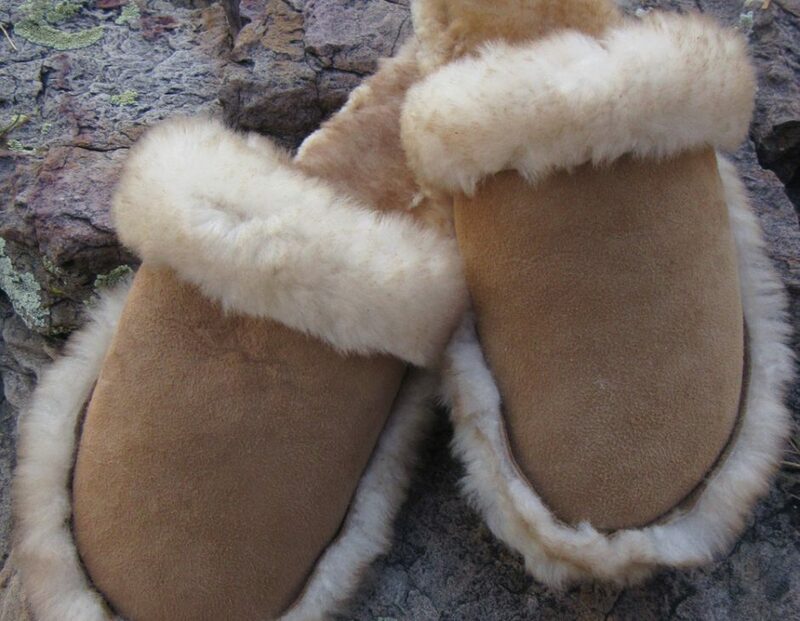 Imagine sliding out of bed and into a pair of genuine sheepskin slippers on a frosty winter morning. Suede uppers, lined with genuine sheepskin, swaddle your feet in comfort when you slip on these luxurious shearling slippers. The versatile flap folds up around your ankle for added warmth. They have a slip-resistant hard rubber, indoor/outdoor sole. Minnetonka is made with Sheepskin Product produced in the USA, constructed in the Dominican Republic. 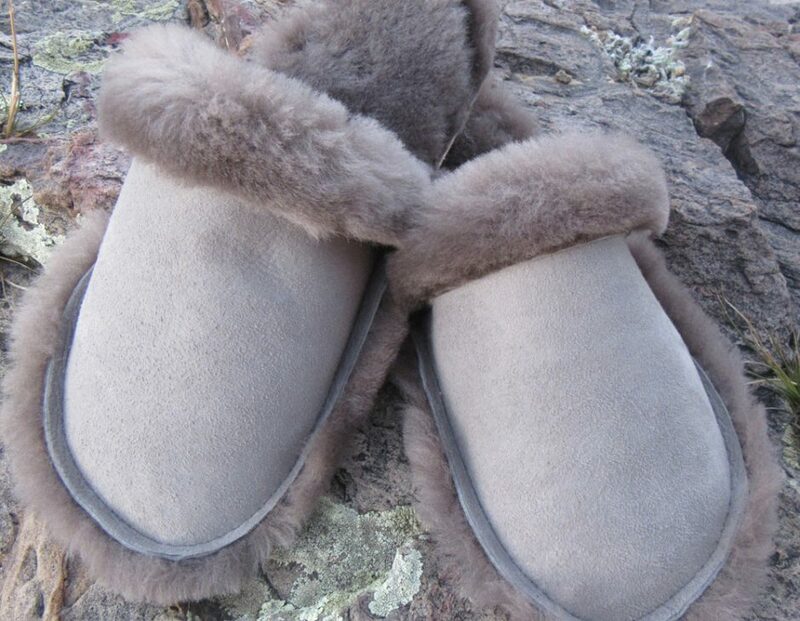 Minnetonka’s sheepskin moccasins are always thick, dense and luxuriously soft. Suede uppers lined with genuine sheepskin help keep your feet warm in the winter and cool in the summer. Rawhide lacing helps adjust sizing. The bottoms come with an indoor/outdoor hard rubber sole that provides traction and durability.